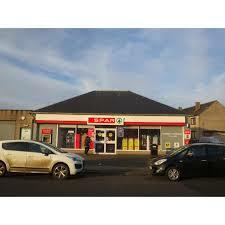 Police officers in Annan are investigating after the Spar store on Butts Street in the town was broken into overnight. The premises appear to have been targeted shortly after midnight and it appears that cigarettes were once again the target for the thieves. Detective Inspector Scott Young said “This is the third similar break-in in the area following two thefts in Moffat last week. Following a recent spike in break-ins over recent weeks we have increase our police presence and officers were on scene within four minutes of the calls to police last night. Unfortunately the offenders had already made good their escape. We are appealing for anyone who may have been around the Butts Street area just before or after midnight to get in touch if they saw or heard anything suspicious. We are reviewing CCTV in the area and will be carrying out a scenes of crime examination at the store today.